Seton's Accepted Safety Labels are backed by our 100% Satisfaction Guarantee! Select from a wide variety of Accepted Safety Labels at competitive prices. Plus most of our top-quality Accepted Safety Labels are in stock and ready to ship today. 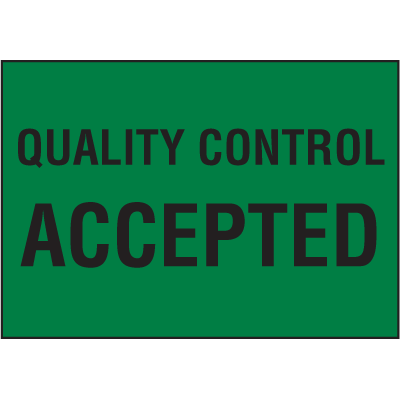 Calibrated/Accepted labels can illustrate when equipment were calibrated and accepted. 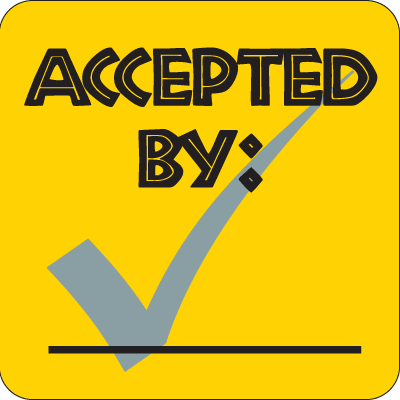 Accepted ok to ship status label informs individuals that a given product has been accepted and ready to be shipped. Accepted self-laminating status labels guard your important information against tampering. 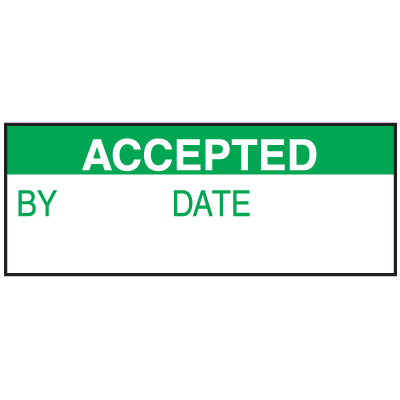 Inspected and accepted status label notifies individuals that a selected item has been accepted and inspected. 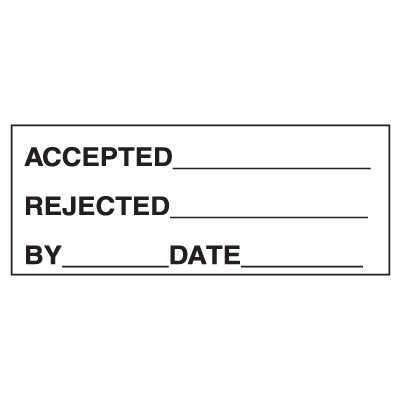 Accepted status label illustrates when something has been accepted.